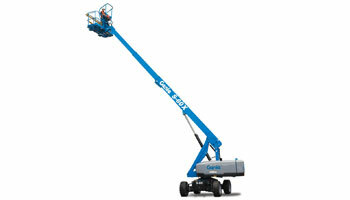 Genie® Lift Pro™ Train-the-Trainer Courses are designed to help prepare participants to confidently and effectively train others in the safe and proper use of aerial work platforms and telehandlers. Participants will receive the latest training curriculum required for operator qualification and training, as well as an overview on presentation skills and adult learning theory. The course covers the responsibilities of all parties associated with the operation of aerial work platforms as outlined by ANSI, hazard recognition and avoidance, pre-operation inspections, function tests, workplace inspections and safe operation. Genie offers a combined two day AWP/MEWP and Telehandler Train the Trainer Course at the bundled rate of $899, please contact support at geniesupport.kencook.com to sign up for the combined course.